Blake Nearmyer accepts congratulations as the winner of the 2017 Peter L. Clevinger Scholarship. Kathy met with Kristine Harral, representing the St. Thomas Aquinas High School Class of 2006. At their 10 year reunion in November, Peter’s classmates donated $750 to the Peter L. Clevinger Legacy Foundation. 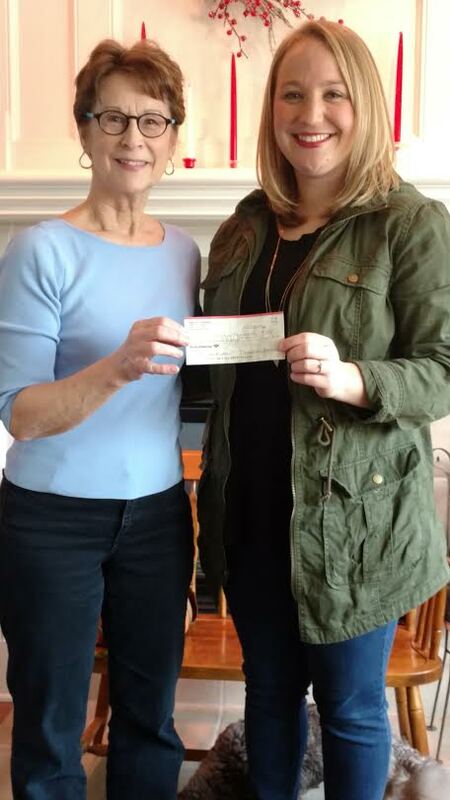 Kathy Clevinger accepts a donation from St. Thomas Aquinas class of 2006′ Kristine Harral. 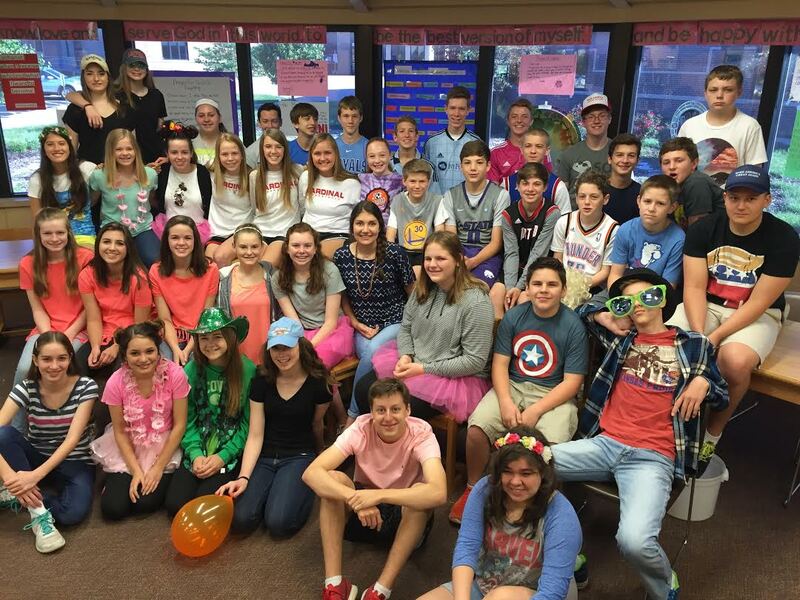 The 8th Grade Class of 2016 from Sacred Heart of Jesus School, in Shawnee, KS raised $1,400 for the Foundation by planning and sponsoring a Carnival for their fellow students who bought tickets for games, face-painting, food, raffle prizes and lots and lots of fun! The 8th Grade Class of 2016 from Sacred Heart of Jesus School, in Shawnee, KS. 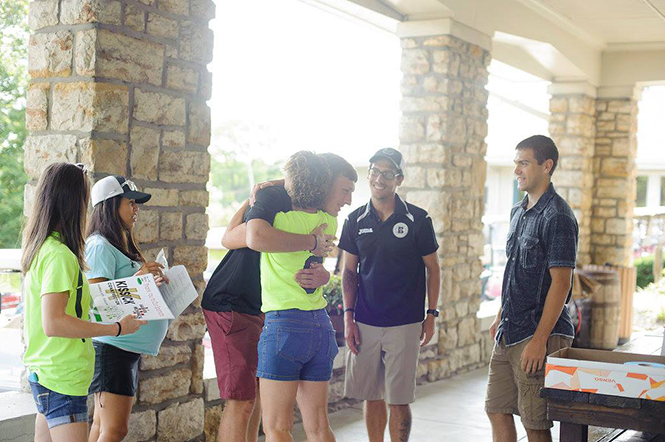 Peter’s high school soccer coaches at St. Thomas Aquinas High School in Overland Park were looking for a way to honor two fallen teammates: Peter, class of 2006, and Aaron Cobb, Class of 2009. 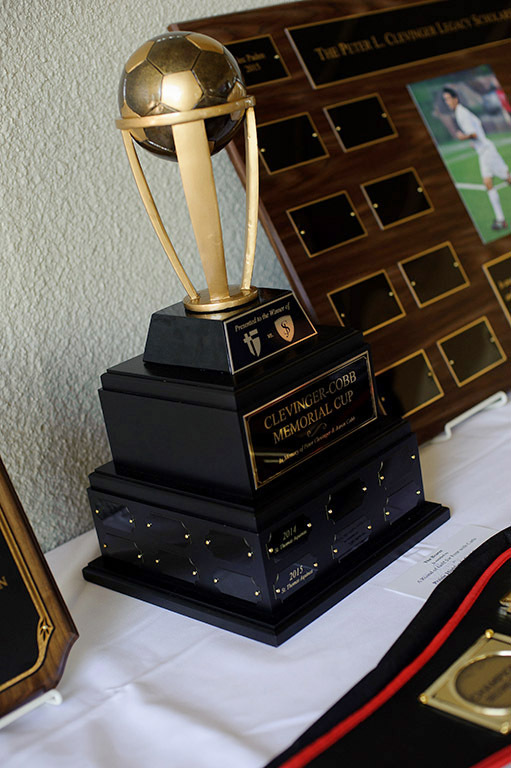 They settled on ‘The Clevinger-Cobb Memorial Cup’ to go to the winner of STA Men’s Soccer vs. archrival, St. James Academy. The trophy, pictured below, is a traveling trophy residing at the winner’s school until next year’s match. 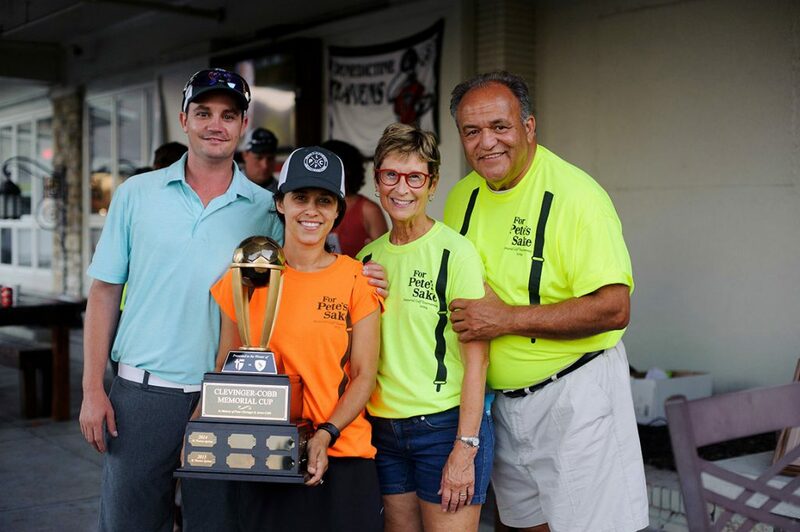 The Clevinger family looks forward to making the trophy presentation each year. Monica Kissick holds the new Clevinger-Cobb Memorial Cup. With her are David Kissick, and Kathy and Ralph Clevinger. 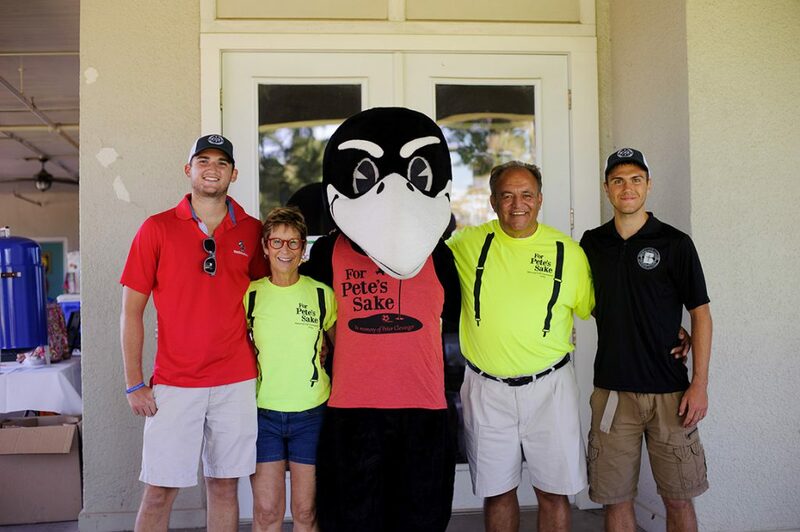 Rocky the Raven and the Clevingers with 2016 scholarship recipient Jordan Pfannenstiel (black shirt) and 2015 recipient Alec Paden (red shirt).